We thank all of you for your help in putting a warm and dry roof over the heads of the Oregon Rail Heritage Foundation and her sister partners. With that accomplished, it’s time to look forward. Our mission is to provide for the preservation and public enjoyment of Portland’s historic locomotives, railroad equipment, and artifacts; and to educate the public about Oregon’s rich and diverse railroad history. In order to do this, we must continue to grow, and growth needs help from all of us. The year 2016 has been year of accomplishment. A record year on the Holiday Express concluded 2015. Recently, a generous gift from the Union Pacific presented its UP 96 SW 10 Switcher to ORHF. Once fully operational it will be available to move our cars and locomotives on our grounds as needed. Which leads us to one of our major needs and reasons for asking you for your financial support. To our east, we have secured the use of adjacent surplus land from the Milwaukie Light Rail line. It will provide an additional 400 feet of track for more rolling stock, and the space to work on it. We have the materials, but there are expenses in prepping the land and related expense to the installation. This is a crucial step forward for us in our role as a working museum. Work on the second level for bathrooms and office space needs to begin as soon as there is funding. It is the first step toward fulfilling more museum space and a viewing platform. With a donation to ORHF and a matching donation to the Oregon Cultural Trust, you may deduct the total of the two gifts as a tax credit. Visit CulturalTrust.org for details. Please use this link for your donation. At ORHF, we provide smiles for the whole family. Help us keep them coming. We thank you for your time and support. Hope to see you at Oaks Park as you board the 2016 Holiday Express. It’s a glorious celebration of all the good ORHF does for the whole community. 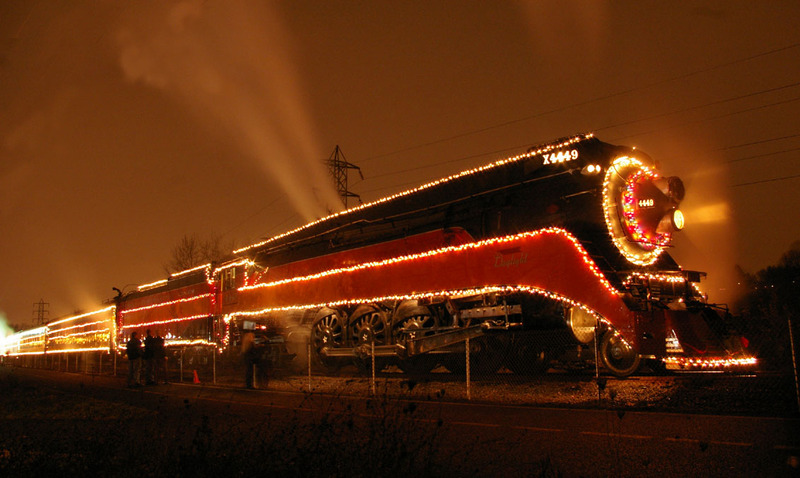 Happy Holidays from the Oregon Rail Heritage Foundation.